Canadian Academy welcomes students from all over the world who are willing to work in a rigorous academic environment that also emphasizes important core values and demands active service-oriented participation. Currently, students from more than 36 countries attend CA. While approximately 26 percent of our students hold a USA passport, almost 9 percent of our students live in a family in which at least one member holds a non-US passport. About 50% of our students have citizenship from an Asian country with half of these students being from Japan. How many students attend CA? We have around 650 students school-wide with about 270 in the Elementary (PreK 3 - 5), 160 in the Middle (Grades 6-8) and 220 in the High (Grades 9-12) schools. Because we welcome more than 120 new students every year, the leadership team, faculty, parents and students at CA put a great deal of time, planning and thought into the ways we can help families to become a part of our community. The Parent Community Association (PTA)through its Parent Partnership Program holds sessions that allow new families to meet each other and to connect with existing CA families. Our guidance counselors and teachers prepare transition activities and events for new students and create opportunities for new and returning students to talk about their initial experiences at the school, from their anxieties and expectations, to the things that surprised them. Can CA graduates attend universities anywhere in the world? Recent graduates from CA have enrolled in colleges and universities in over fifteen different countries around the world. CA makes every effort to stay abreast of a wide variety of admission requirements and the college counselor works closely with leadership and teachers in assisting students and parents with their course selection. We have been very proud of our ability to best help students maximize their potential for university admissions in the college or university of their choice. Where can students live that attend CA? All students are expected to live with their parents, guardian or in the dormitory. Any exceptions must have the approval of the headmaster. Can students who live outside of Japan obtain a visa to attend CA? Yes. Students whose parents do not live in Japan may stay in our dormitory on a Pre-College Student Visa. The information and application for a CA sponsored Pre-College Student Visa can be obtained from CA. In addition, CA helps families with the application process for a Pre-College Student Visa. This visa is only available for our dormitory students. If the student is not staying in our dormitory, families must apply for the appropriate visa themselves. Canadian Academy accepts applications up to one year prior to the date of entry. To open an application file, please submit our online application and the application fee. Students applying from outside the Kansai area must submit the supporting documents no later than three weeks prior to desired date of enrollment. 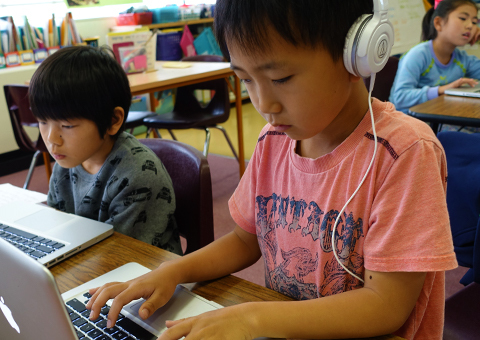 Students applying from inside the Kansai area may apply any time but should submit the online application, the application fee and all supporting documents by the last day of February of the year to help ensure a seat in our school. The admissions office schedules individual appointments for families with the Director of Admissions to tour the school. Please telephone the admissions office at 81-(0)78-857-0100 or click on the Contact CA button in this section. Do we need to come to CA for an interview and/or admissions testing? Yes, CA requires an on campus interview and the appropriate student testing before a student can be considered for final acceptance in most cases. In addition, we will be happy to arrange a visit and tour of the school. Please contact Admissions at 81-(0)78-857-0100 or or click on the Contact CA button in this section. We have an open admissions timeline and will accept applications throughout the year. However, if you are applying from within Japan, please submit your application by the end of February in order to ensure a seat for your children. In all cases, the sooner the better! How long does it normally take before I know if my child has been offered a place at CA? Most families will hear from the admissions office within a week from the time they have had their admissions testing and interviews. Please submit your Application Fee by clicking on the link in this section. Does my child have to join CA on a specific date: the beginning of the school year, for example? Your children may start school at any time. However, we strongly encourage our grade 11 and 12 students to begin the school year in August whenever possible. Our second semester usually begins the third week of January. What age does my child have to be to enter PreKindergarten-Grade 1? PreK3 (3 year olds): Applicants must be three years old on or before September 30 of the year of enrollment. KA (Kindergarten A): Applicants must be four years old on or before September 30 of the year of enrollment. KB (Kindergarten B): Applicants must be five years old on or before September 30 of the year of enrollment. Grade 1: Applicants must be six years old on or before September 30 of the year of enrollment. What are the criteria for placing my child in Grades 2-12? Acceptance and grade level placement are subject to evaluation of documents, interviews and testing of applicants. Also taken into consideration are age, emotional, social, and developmental maturity, past school records and other factors deemed relevant by the admission committee. CA's academic year runs August–June. Students transferring from a different academic year calendar may be asked to complete the current grade rather than miss a semester of learning. For example: a student who has completed Grade 10 in December may be placed in Grade 10 at CA for the second semester Jan-June. Each applicant in this situation is assessed individually. CA is an IBO World School authorized to offer the Primary Years Program (PYP), the Middle Years Program (MYP), and the Diploma Program (DP). High School students can elect to take IB courses in a wide range of subjects. They will also take the SATs in Grade 11 and/or Grade 12. We do not offer AP courses. Does my child need to be fluent in English to attend CA? No. Many of our children are not fluent in English when they arrive and our teachers and our students are skilled in making them feel at home. 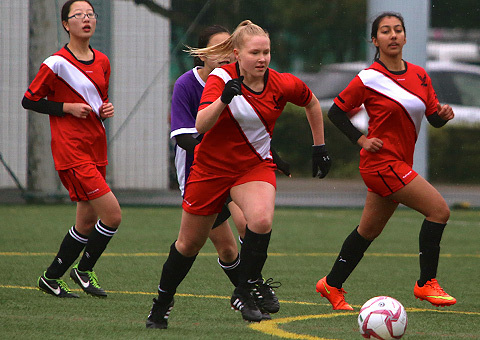 As an international school, CA has students representing more than 35 different nationalities. To support this international population, we offer an EAL program for eligible students. This program is more extensive at the elementary level with the expectation that students who are accepted in the middle school will need less support, while those in high school will require minimal support. Does CA have after-school sports and activities? Yes, the elementary and middle schools have after-school sports and activities programs. Also, high school students can participate in a variety of after-school clubs. Students in Grade 6 and above can join sports teams that compete against other schools. 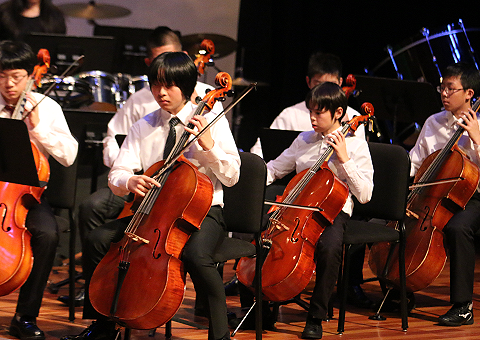 We are a proud member of the Asian-Pacific Activities Conference (APAC), a network of schools that host season ending tournaments for sports, and performances and workshops for dance, drama, and the arts. We are the only school in Japan that belongs to APAC. What degree do graduates earn from CA? All graduates from CA earn a Canadian Academy high school diploma recognized by the Western Association of Colleges and Schools (WASC) and the European Council of International Schools (CIS). In addition to the U.S. high school diploma, students can pursue the International Baccalaureate Diploma (IB) at CA. Does CA accept students with special learning needs? CA does offer a limited availability learning support program for children with mild to moderate learning needs. To determine if a child meets this requirement, current school records regarding past educational plans and services should be submitted to the admissions office. The learning support staff will carefully evaluate the reports to determine whether we can offer an appropriate program. We can also assist by referring families to learning specialists for diagnostic testing, speech therapy and psychological support as appropriate. Where do CA families live and does CA provide busing to these areas? More than 50% of the CA families live in the Kobe and Ashiya area. About 40% of the families live on Rokko Island where children can bike to and from school. Busing is provided to and from the school to Kitano cho, Aotani and Ashiya areas. Yes! Our Parent Teacher Association (PTA) involves parents in school activities and functions at every grade level. Parents play an invaluable role in organizing special events and fundraisers for our students, and parents are always welcome to volunteer their time and talents in helping out with these special events. Does CA offer sibling discounts? CA does not offer any discounts for families with more than one child attending. How does CA's grade levels compare to the Japanese, Korean and British school systems? School begins at 8:30am and ends at 15:25. After-school sports and activities for elementary students run from 15:30 to 16:30 on Monday, Tuesday, Thursday, and Friday. Sports and activities for middle school run from 15:30 to 17:30 on Tuesday and Thursday and for high school on Monday, Wednesday, and Friday. On Wednesdays, students are dismissed one hour early to provide professional development opportunities for faculty and staff. What is the waiting pool? There are times when we do not have enough space to accommodate all qualified applicants. Qualified applicants will be offered a place in our waiting pool and will be considered for admission when a space becomes available. When offering places to students in our waiting pool, the admissions committee considers a number of elements. If a place does not become available during the course of the academic year, the student’s application must be updated by 1 February to be considered for the following academic year. Parents should arrange for current school reports, teacher recommendations and standardized testing (as appropriate) to be sent to the admissions office. Our school year generally has students beginning school around mid-August and completing the school year no later than mid-June. Please click to see the current school calendar. Where do CA teachers come from? Our teachers come from a wide range of schools around the world and represent different nationalities. More than 65% of our teachers hold a masters degree in their respective teaching areas and the average tenure is seven years. If you would like to be put in touch with a parent at our school via e-mail, please let us know and we can contact a member of our Parent Partnership Program.